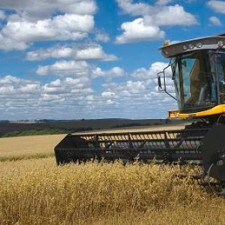 It is never too early to get your combine ready to harvest. We offer services to improve your harvesting experience by providing over the phone or in-the-field support focusing on these four items: Increase Grain Quality General Inspections and Configurations Based on Crops Increased Combine Capacity Reduced Crop Loss Contact us today before time runs out! That’s Right! Combine Harvesting Solutions is getting a fresh coat of paint and expanding our efforts to bring you the best information available for configuration of your combine and to maximize the productivity of your combine, improve the harvest quality, and reduce the amount of grain/seed lost. John has spent the last 10 years of his career with the John Deere Company specifically working with growers, buyers, and dealers to improve grain/seed quality and reduce grain/seed loss on John Deere Combines.